Written by guest blogger: Olivia H.
When I was seven years old, I achieved the American Dream. My parents had decided to remodel the kitchen, and we had no way to cook, or even store food in the house. That meant we got to walk around the corner to a local diner most days before school. Maybe that isn’t the average definition of the highest point of success, but when I was three and a half feet tall, life couldn’t get much better. 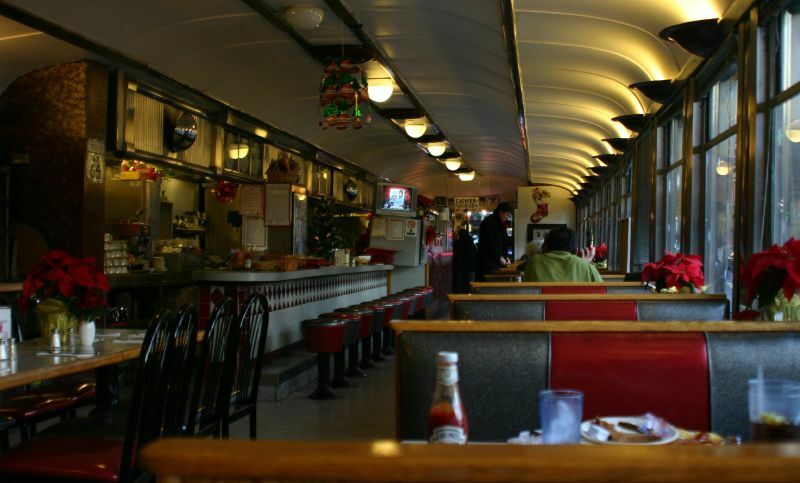 The diner that so kindly put up with us is made of a reconstructed old train car. I could spend the whole morning watching the characters sharing the car with us. Most were construction workers or members of the rescue squad, with the occasional classmate sprinkled in. Big men in big suits with big briefcases would run in to get big coffees and big sandwiches. They would scuff their big shoes on the big stairs on the way out. Most people were quiet, everyone was hungry, and a couple of people I found a little strange. Not far from the diner is a hospital for the mentally ill. Every once in a while some of the residents would come into the diner. I didn’t know where they came from and I held nothing against them, but I knew that they walked differently than I did. I knew that some would talk to whoever was sitting next to them, whether or not the other person spoke back. I knew that most of them never went to pay, and I knew that Teddy and John at the counter never turned them away. “I guess I better get it to go then!” the man said, louder than the normal volume but not quite yelling. John switched the mug to a Styrofoam cup. As the man pushed through the door and stepped down the big step, John told him to come back when he felt better. The man went on his way (without paying a cent) and I went on my own way to school. In retrospect, John’s kindness was incredibly simple, but also incredibly complex. Clearly, he gave a man in need free coffee. John also invited him back to a warm place when he was in a better mood and would be able to reciprocate that kindness. John extended his kindness to every person in the diner, making sure everyone’s morning went as smoothly as possible. Any possible confrontation was completely diffused with a few kind words. It has been about ten years, and the kitchen is indeed finished. Now that I’m in high school my world is nothing like it used to be, but the diner remains frozen in time. It still looks like someone pulled a car off the back of a train in 1950 and threw a grill inside of it. Teddy and John are still behind the counter. 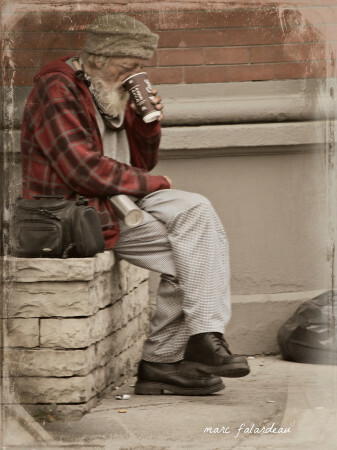 If someone comes in homeless, or mentally ill, or just a few dollars short, John closes the register with a smile. No questions asked, no arguments made.